When we moved into our first apartment, it became clear pretty quickly that our dvd cases were taking up way more than their share of room in a pretty cozy space. We bought one dvd book,and all the cases hit the road. We had so much more room! I would never go back. With toddlers, I would doubly never go back. But here is my Gateway Environmentalist admission. Those cases are all sitting in a landfill somewhere. We didn't make use of them, donate them, or even recycle them. At the time, I just enjoyed the catharsis of sending them packing, but now I regret not trying to get rid of them in a way that wasn't just moving my mess elsewhere. Check Buy Nothing or Freecycle Groups- Someone might have a great use for those cases. You won't know unless you check, and you may be pleasantly surprised. Still haven't joined a group like this yet? Craziness! These groups can be life-changing, because they reframe our ideas of ownership and the "value" of stuff. Check the Library- Some libraries do need cases for things. Maybe they won't take all of them, but even if some get re-use, you are getting somewhere. If you can't find a way to Re-use, then Recycle. Need to find where you could recycle cases? Check out Earth 911. They have tons of amazing resources (and listicles. Game recognizes game) and you can look up what options are near you. 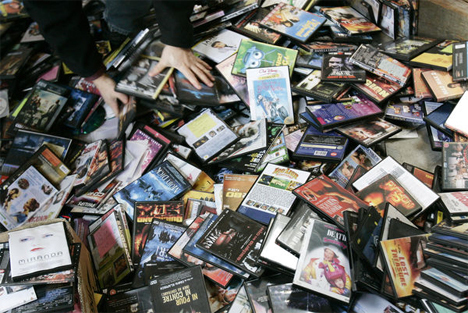 If there isn't anything nearby, check with the CD Recycling Center of America, who will also recycle all those CDs and DVDs you have sitting around or that you break along the way. Green Disk will also accept DVDs and CDs, but it isn't clear whether they will take the cases too. You can de-bulk a big chunk of your house by simply getting rid of all those cases. Just don't throw them away- more environmentally-friendly options exist! Love it!!! I tried to give them away at Best Buy because I heard they recycled them, but they will only take the actual dvd or cd and throw away the cases so I was still at a loss. Now I have new leads what to do with them!